I rediscovered my love of photography about a dozen years back as my sons got involved in sports. I found the best way to be sure I had good shots was to take the photos myself. As my skills (and equipment) improved, I began to share my work so other parents could enjoy pictures of their children as well. It's been a great journey and I invite you to join me along the way. In addition to prints I now offer a wide range of media creations with my photos or yours. Custom sports posters, highlight videos and photo slideshows are popular choices. I'm also available for Senior and family portraits by appointment. 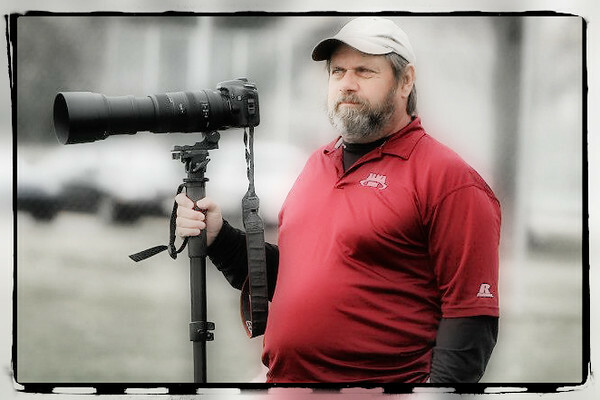 I attend many local youth games and can capture your team in action, just let me know when and where. Please contact me for more information, to schedule an event or just to say Hi!